My husband isn’t big on romance. He doesn’t write poems or buy me flowers. The last time we had a candlelit dinner was during a power outage—with the kids, eating cereal. Truly, I’m okay with that. My husband’s pragmatic side is a huge benefit to our family. He’s loyal and responsible and he knows how to fix the sink. Those are no small signs of affection to a woman who counts her blessings. Yet many wives, like me, are wired for tenderness. In the daily grind of deadlines, laundry, meal planning and mortgage bills, sometimes I miss my boyfriend—that sweet guy who once captured my heart. Where did he go, anyway? “Yeeehaaawww!” Suddenly I hear giggling in the living room. Poking my head through the doorway, I find my husband crawling on the rug with a child clutching his back. “Giddy-up, horsey!” Our daughter shrieks with laughter. “Where are we going?” My husband smiles, breathless. “Ummm . . . to Africa!” Her eyes sparkle bright as her cheeks. I turn back toward the kitchen, grinning. That old boyfriend? He’s still here. He just has a new name. 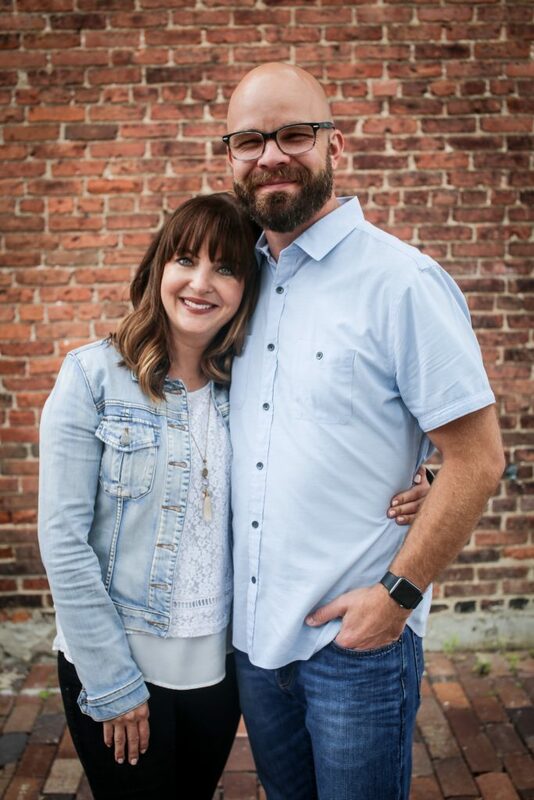 From the day our first daughter was born, God began revealing a softness in my husband that I’d never seen before, not even when we were courting. The way his manly voice crooned to our newborn as he stood over the changing table, his strong fingers fumbling ever so gently with tiny diaper tabs. The sight of it unraveled me. Now my heart melts into my stomach whenever I see my husband shuffling My Little Pony figures around the carpet, sorting them by color with our preschooler. When he pulls up a chair to explain math homework. When he turns off the game to go outside and teach his girls how to grip a tennis racquet or swing a bat. This man, who sat in a crowded movie theater watching Frozen with as much enthusiasm as our princess-crazy daughters. He is romantic in the most important sense. I love him all the more because he loves our children. So husbands, maybe you’re not the kind of guy who thinks to surprise your wife with chocolates or spontaneous bed-and-breakfast getaways. Maybe you wish you were. And wives, maybe you long for more hugs or lazy hours to gaze into your husband’s face across the bistro table. Maybe you just want him to remember your favorite perfume or, for goodness sake, your birthday. Sometimes the biggest acts of love come in ordinary scenery. And any man who can dance with his kids in the family room is a charming prince indeed. 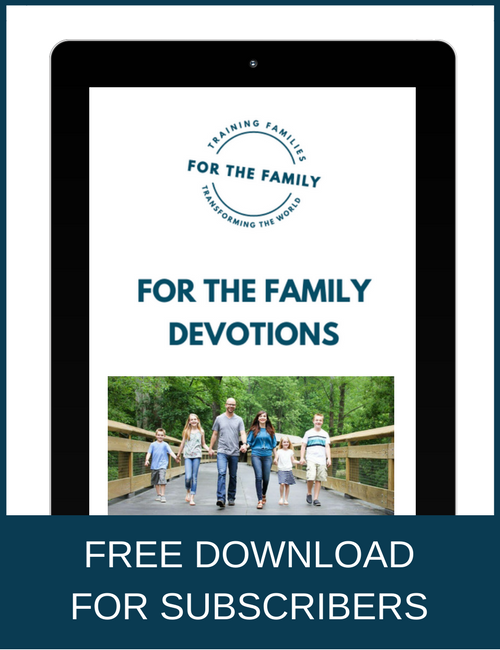 “Above all, love each other deeply, because love covers over a multitude of sins” (1 Peter 4:8, NIV). What a lovely post – your husband is lucky to have you in his life. My eyes were welling up as I read this post because I have very recently been that mom who longs for the weekend get-away, to stare into my husband’s eyes across a bistro table w/no children in sight. And I’ve been that woman far too often lately. Thank you for reminding me just how blessed I am and to be thankful for my husband right where we are…kids, toys, sleepless nights and all. Thank you for this post…..after a few tough years in our marriage, I too have been longing for romance. 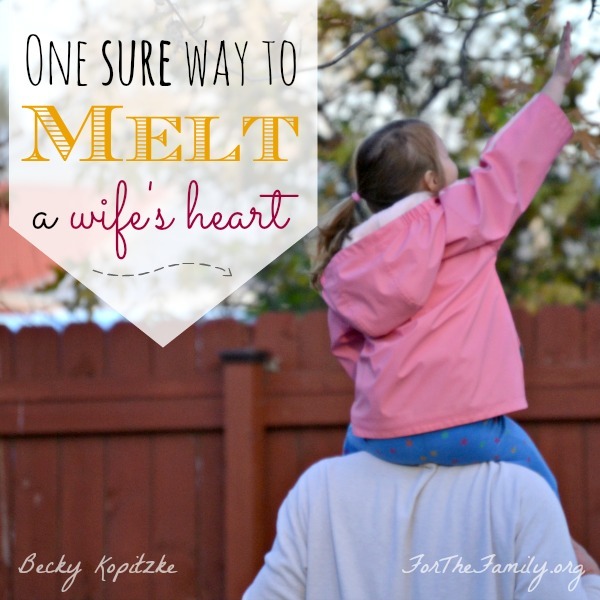 It’s true, my heart does melt when I hear/see my husband playing with our 3 kids. I often find myself missing alone time & intimacy of the early years. God is revealing the areas I need to work on & you post did that as well. Blessings!! Thank you so much for posting this! I was looking for ways to “help” my husband with romantic ideas and this is exactly what I needed to “hear”. I almost cried when I read the line “That old boyfriend? He’s still here. He just has a new name. Daddy.” That is the sweetest thing and so true. We have a little girl as well and my husband melts when it comes to his ‘princess’. I am so blessed that he loves me and our children so much! Thank you for making me rethink my definition of “romance”. I really needed it. Blessings!! !